A big thanks to all of our new subscribers and followers! We’re excited that you’ve decided to join us in this mission to bring short stories and flash fiction to a larger audience. We wanted to just tell you a bit about why we decided to do this. So I’m going to start by sharing a little story. But it was when Mary hosted a flash fiction contest that I decided I’d put it all out there and participate. Well, I won a prize–and I got to read a lot of great work from other flash fiction authors, too. Now, I’d participated in Friday Fictioneers several times, and I wrote some flash fiction of my own, but finding authors like Mary who were so passionate about flash fiction really got me thinking. I decided I’d write a collection of short stories or flash fiction–whatever happened, happened. Well, what happened was I wrote Dysmorphia in a week. I discovered that I really, really enjoy this genre. I can write a story as quickly as my bizarrely-spastic neurons fire (on the days that they decide to work, that is), and I can trash it if it’s crap, or stare at it like I just gave birth to it if it ended up being decent. It’s pretty cool. Of course, Mary enjoys writing flash fiction, too–and she understands that there’s an art to it. It’s not for people who “can’t write novels” or for people who have problems finishing stories. It can be, but it doesn’t have to be. With those nuggets of info in mind, Mary approached me with the idea for this project. We planned it, excited and anxious to unleash our creativity on the world. We decided we wanted to promote our work as well as the work of other authors who feel passionately about these genres. And we came up with all sorts of fun ways to get people involved. From fun visual storytelling sessions through Instagram to flash fiction contests with sweet prizes (like Amazon gift cards, an author interview, or even the chance to appear in an anthology! ), we know we’re going to have tons of fun showing you how versatile and immersive bite-sized stories can be. You don’t have to be a published author to participate. 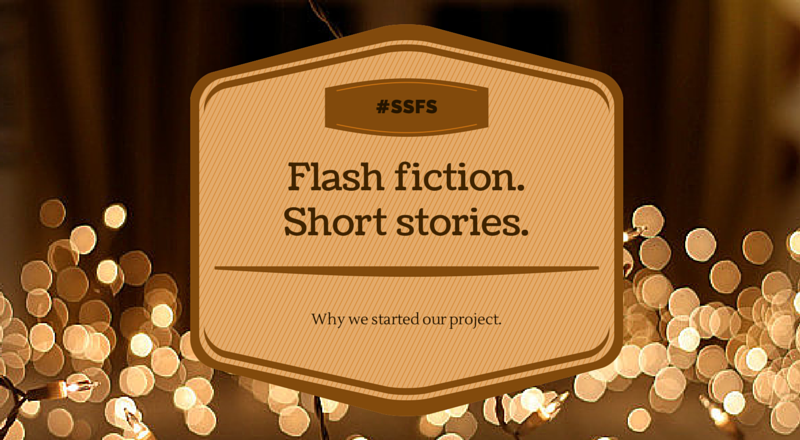 You just have to be passionate about short stories and flash fiction. We hope, that with your participation, we can create a rich and varied resource for authors and readers alike. If you haven’t subscribed already, do so immediately, and follow us on Twitter and Instagram to get real-time updates and access to cool events. Thanks, Jeyna! We’re so excited to get this project off the ground. Looks shiny. I love me some flash fiction. Looking forward to participating in your contests and keeping up with what you choose to showcase.